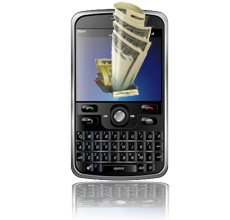 Create revenue-generating SMS micro payment services and too phone payment. No startup fee, no monthly fee, no technical skills required. We provide you with professional analytics tools to track and optimize all your SMS transactions. Great World wide SMS mobile payment Coverage! Our SMS micro payment and phone payment covers many mobile networks in different countries. Now too we accept credit card payments, IBAN and other payments system from each country. Great coverage without any setup or monthly fees. See also our high payouts per country. Donations, Online gaming, Digital downloads, Site access, Checkout, Auction and Classifieds sites, Forums, Dating sites, Blogs, polls and so on. Into your website so easy to setup. Our API can be easily integrated into your website without any programming skills. We also provide several modules for any kind of web sites and you can use for free. Together with our carrier partners, we reaches over 1.9 billion consumers in more than 110 countries around the World. That’s a huge number of people who is willing to pay using their mobile phones. In most countries we can cover all carriers with different prices you can charge your customers. You can select the end-user price that works best for your product or service. From your SMS Micro Payment Control Panel you will be able to create your Services, look Statics and much more. Accepting micro payments by SMS mobile phones and phones is the easiest way for you grow your business without any significant marketing investment and with easy development. Check too because time to time we can offer a better % for the SMS payments.